Your home’s fencing isn’t merely a security feature anymore! As one of the first things visitors see and feel when they come by, the importance of caring for the look of your home’s fence is clear both in terms of curbside appeal and property value should you eventually decide to sell your home. 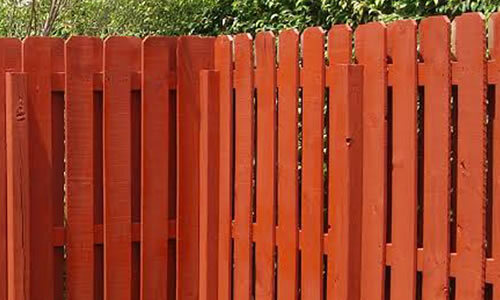 What’s more, with all the exposure your property’s fencing faces to UV light, wind, wear, and weather, there’s plenty of reasons why your home could benefit from professionally performed fence painting in Brandon, FL, especially when you turn to the qualified experts here at House Painters of Brandon, FL. House Painters of Brandon, FL is proud to have provided countless homeowners with interior painting and exterior painting Brandon, FL services through the years ranging from the smallest and most detailed of projects to the most expansive and eye-catching and from front fence painting in Brandon, FL to back deck staining. Brandon, FL homeowners today can view all of this work history and know, with confidence, that when they turn to House Painters of Brandon, FL they’re going to see quality fit for a king! With the help of our experienced team of painters in Brandon, FL, homeowners can count on their fences to last longer and look better than they ever could before. Brandon fence painting services from House Painters are performed with the same expertise and commitment to convenience and satisfaction which has become our signature on all jobs, something we pride ourselves on. That’s why every project from vinyl fences to hardwood and aluminum fence painting in Brandon, FL is quickly, thoroughly, and professionally completed by the House Painters Brandon fence painting team. That means that with one quick service your home’s fencing can look like a gorgeous new installation with exterior painting in Brandon, FL that’s sure to satisfy through the years to come. To learn more about what makes House Painters of Brandon, FL your perfect Brandon fence painting company simply call our friendly and knowledgeable representatives at (813) 773-0005 to schedule a free, no-obligation, at-home consultation and estimate with the local fence painting Brandon, FL specialists right in your neighborhood. Fence painting in Brandon, FL has never been easier!